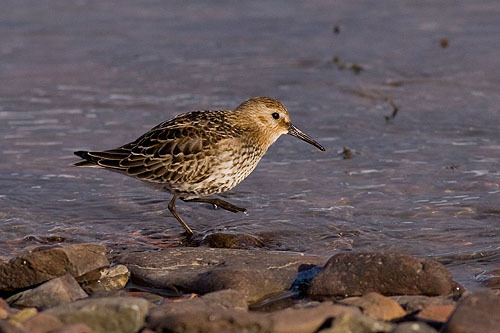 "Calidris Alpina" / The commonest small Wader of the shore / Feeds in flocks picking worms , molluscs , insects . / Nests in a shallow grass lined hollow on ground or in grassy tussock . 1 Brood , 4 eggs , Incubation 21 days , Fledge 20 days .